I feel like I am coming home after a really long trip...I've missed all of you so much! I realized I have not had a fun DIY in a while for you guys so I had to remedy that right away. I am gearing up for the Christmas issue for Good Living Magazine so today's little project was one of the projects for it. Lucky lovelies...you get a bit of Christmas fun a little early! 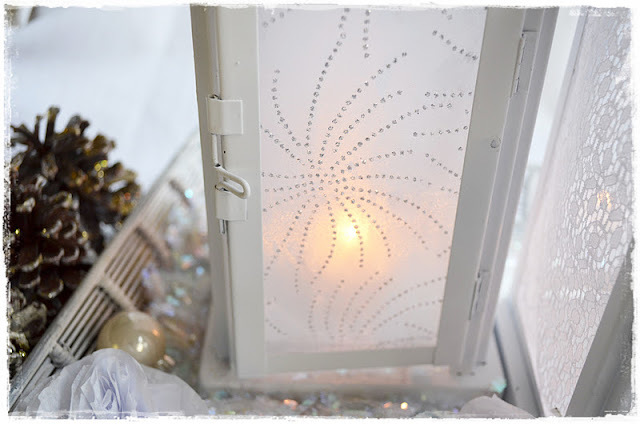 Actually, this will be a warm up to November where I will begin sharing pretty packaging ideas throughout the month. I can't promise it daily but I will try to do a bunch for some fun wrapping inspiration! 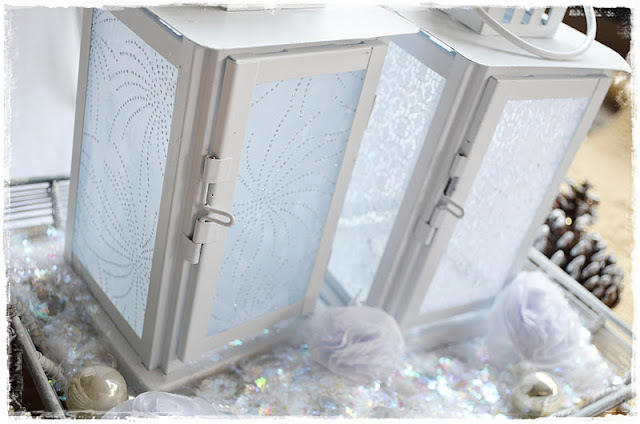 But back to these pretty little lanterns! 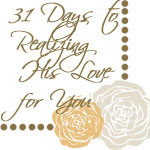 I am excited about this one because I am also planning my table for the upcoming Christmas Tea at our church. 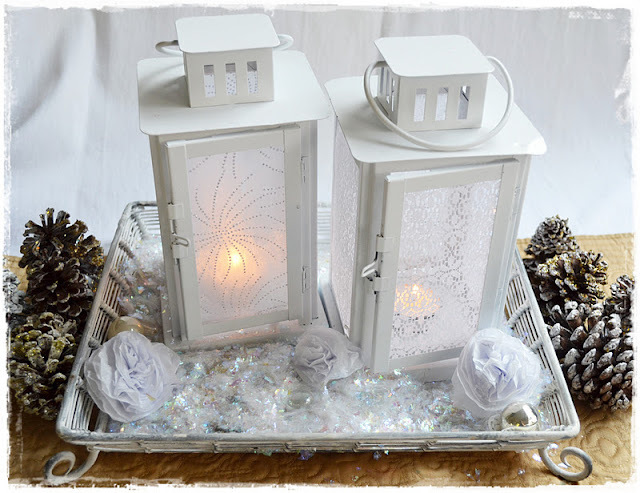 I think these lanterns in varying sizes would look lovely as a centerpiece. These ones above were actually my little practice ones. 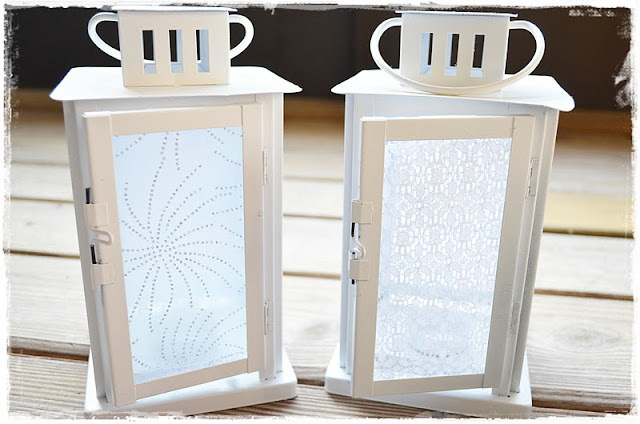 :) My husband and I were at Lowe's this weekend and spotted a bunch of these lanterns on clearance at $1.08 a piece! We literally filled up the cart with them and we bought over 20 of them. I know I will find just the perfect thing for them...oooh I can't wait! I had this little project in mind for awhile now so I knew some spray paint love was in order. So I brightened them up a bit with white and found my happy place. Sigh. I just ♥ white spray paint. Now for adding fabric to the removable glass panels. 1. 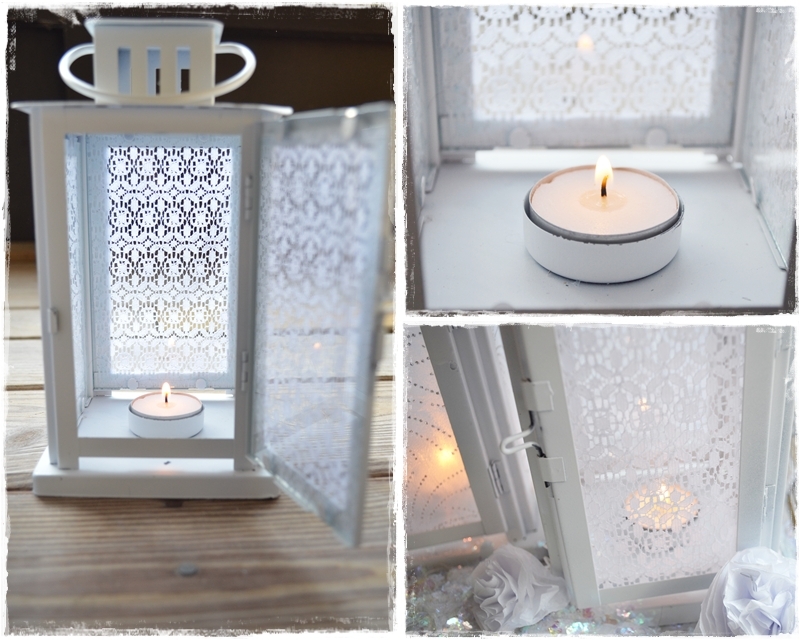 I actually used craft lace and a sparkly organza material to cover the glass. 2. I used Mod Podge but I tend to be a bit heavy handed with it. 3. You can use a paint brush to spread it on. 4. But I prefer to get all messy and use my fingers. 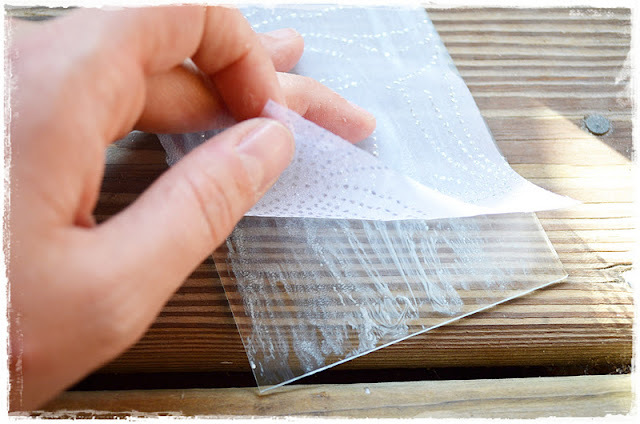 After spreading the glue, smooth your fabric onto the glass. Wait until they are completely dry before placing them back into your lantern. 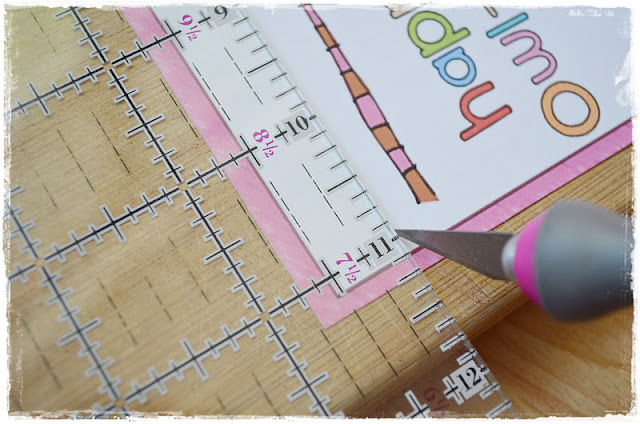 BTW...You really don't have to be precise when you cut out the pieces of fabric. Just lay the glass on top of the fabric and cut around it. The edges are hidden on the inside. 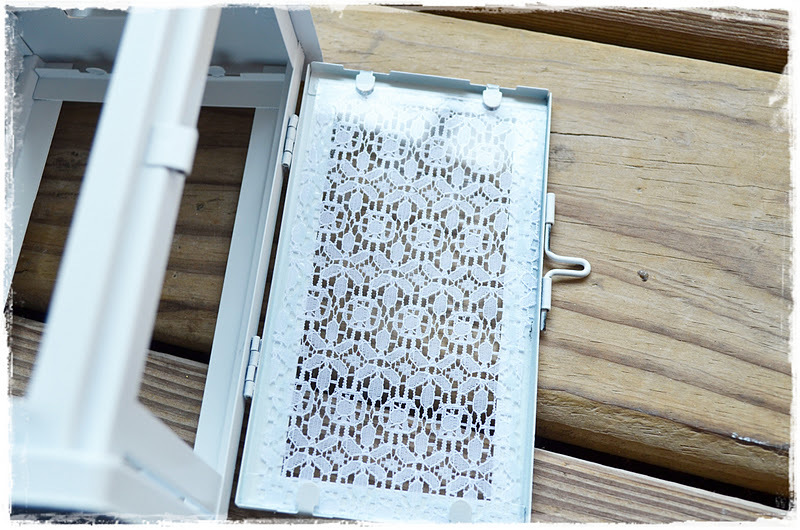 Be sure to place them inside with the fabric on the outside of the glass. They look so pretty with the tea lights in them! I love how the lace one is more see through but the organza diffuses the light with a soft glow. 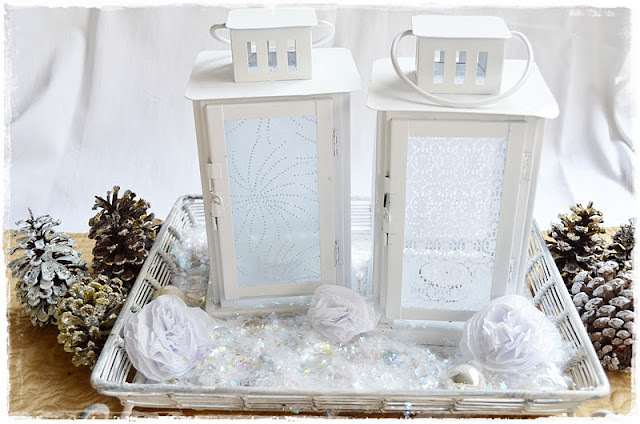 I can't wait to do this for the Christmas Tea tablescape with the different sized lanterns. 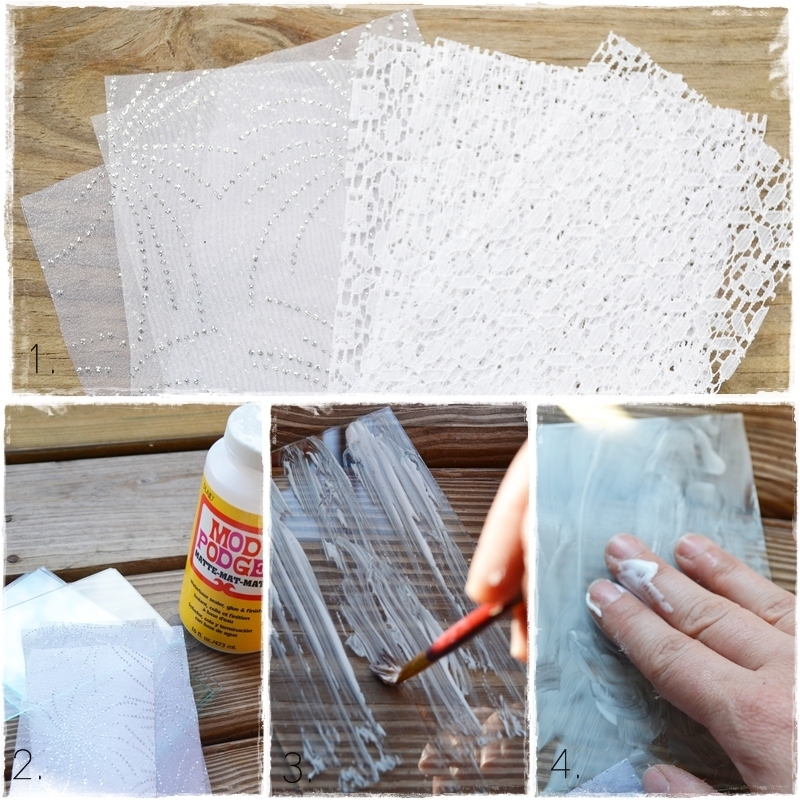 Other Ideas: You could also use Vellum paper or the the plastic paper like I used for the lemonade mason jars at the girl's birthday party. Tissue paper would work too and look lovely with that diffused glow look to it. Wrap lace around glass votives or even large vases and place larger candles in them. So, so, so pretty. I might lace up every glass container I own! I promise to be back soon...HUGS! 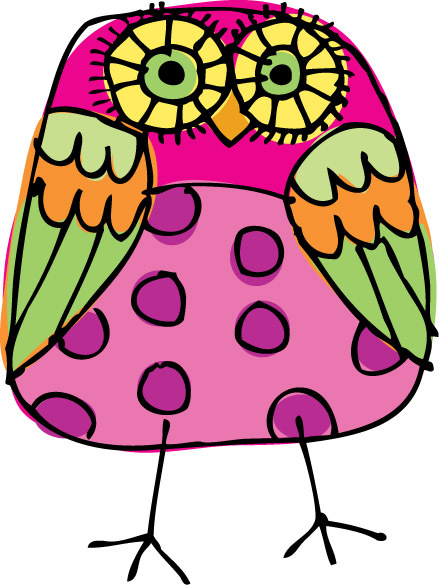 There is something about the cuteness of anything owl that always draws me in the Fall. 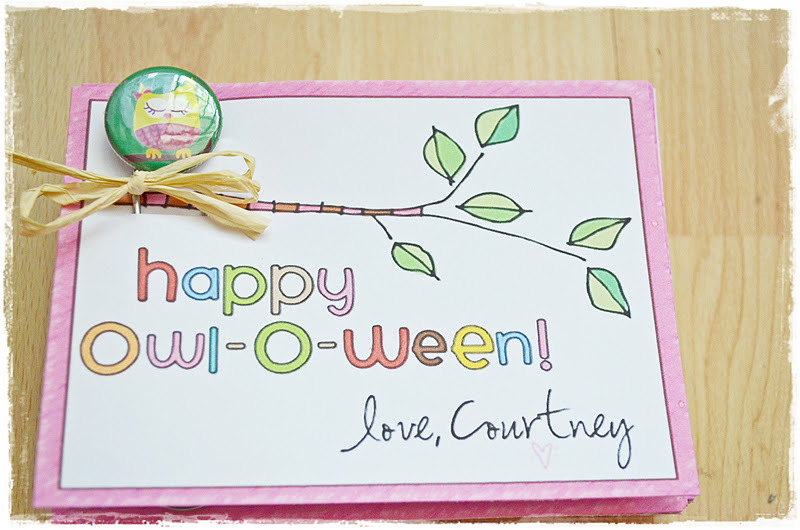 So I was totally excited when my new friend Courtney contracted me to design some Holiday goodies for her Thirty-one consultants for both Halloween and Thanksgiving. I was pretty excited. But knowing I needed to make 100, my goal was to make it cute but easy for me to turnaround. Plus, I wanted something happy and not too spooky. 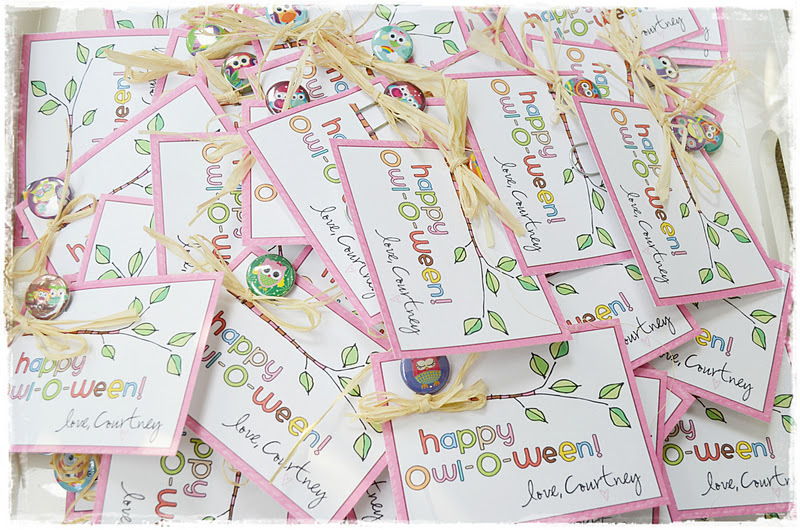 So these colorful and fun owl cabochon bookmarks seemed like the perfect solution. 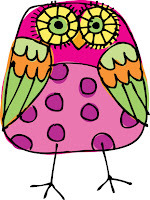 First I designed the card using this completely fun owl clip art from the Etsy shop KPMDoodles Digital Clip Art. 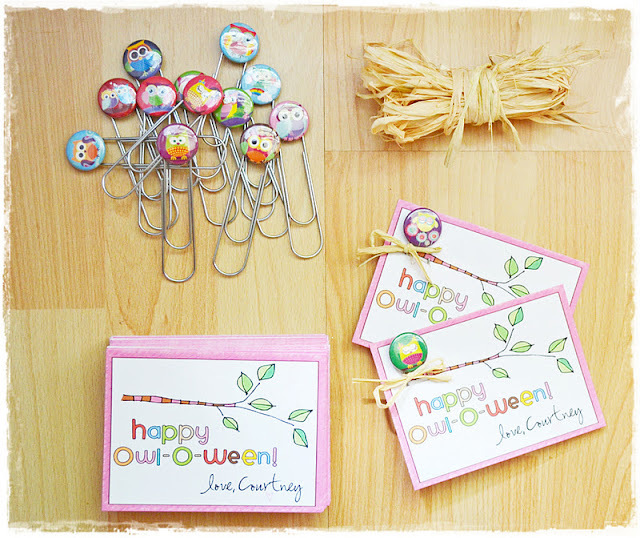 My idea was to have these cute little owls look like they are sitting on the branch on the card. 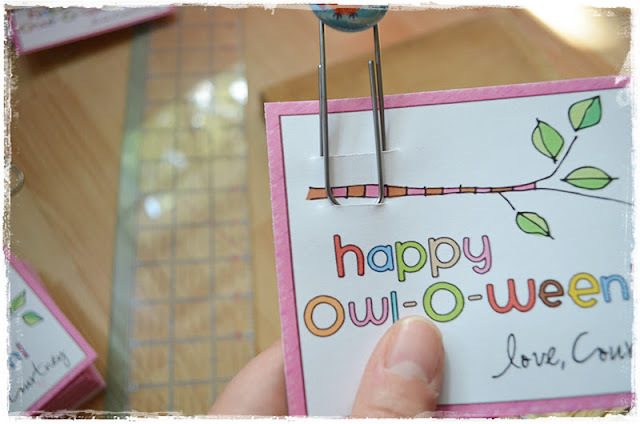 To attach the bookmark clip tot the card, I made two slits with a craft knife above and below the branch so I could slide both sections of the paper clip in it. The clip stays in the back so that nothing hides the front of the card. Here is the whole lot of them! These would be a great idea to do for your children's friends or classmates too! It is quick and easy and inexpensive! 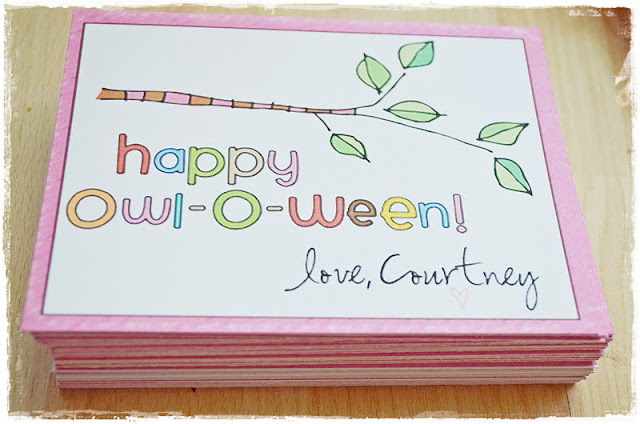 Such a fun Halloween project! Speaking of cabochons...check out Popalicious Too for some amazing variety on cabochons and other fabric buttons. And I have to be honest...I would have ordered from her in a heartbeat! 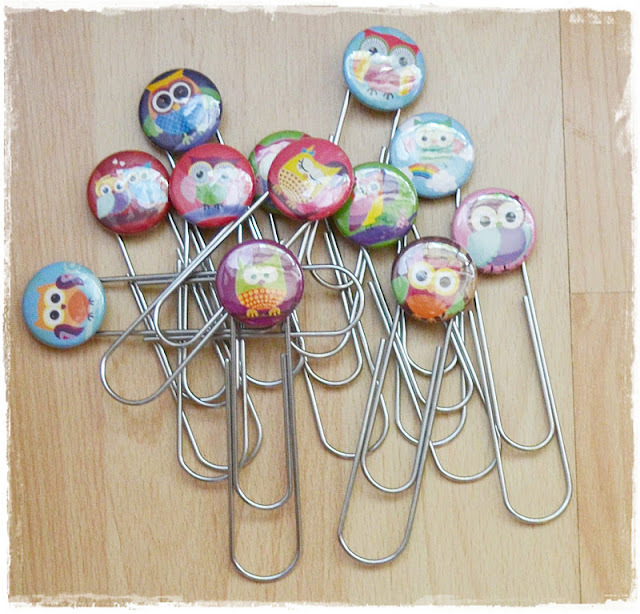 Her selection is unbelievable...she even has cute little owl ones too. 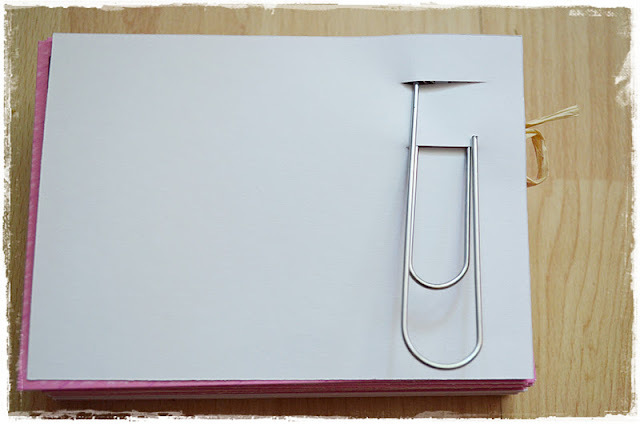 Here is a simple and quick project to tackle in an hour. I showed you a sneek peek of this in the post showing all my Fall projects around the home. And this one is going to be a FOR SURE repeat project for me. 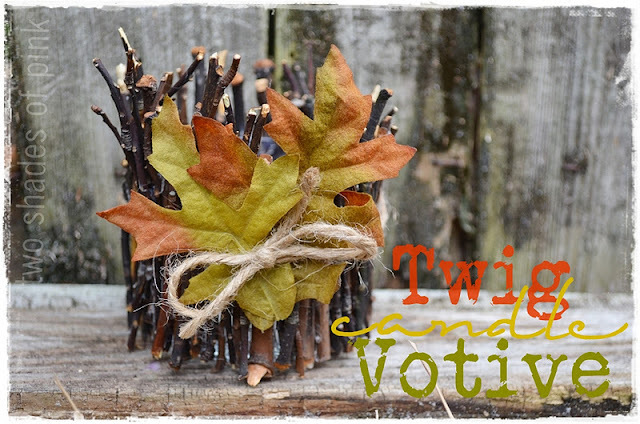 I got inspired by these from Martha Stewart who made this twig vase. 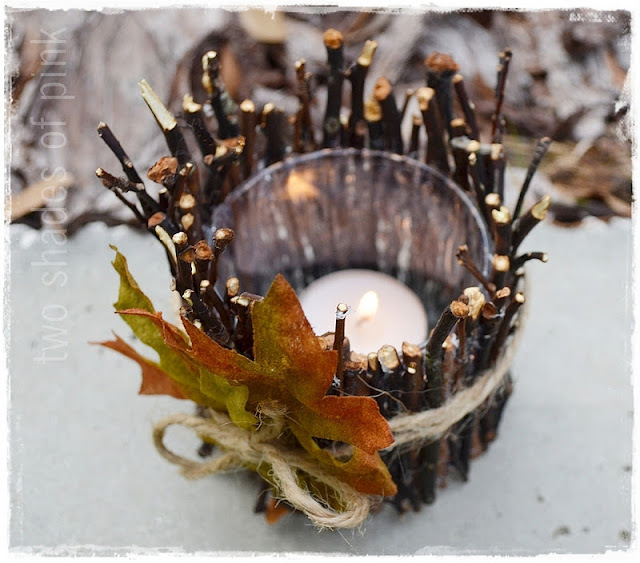 But I thought this idea would be lovely to make a votive and have the candle light peeking through the twigs inside the glass. So I grabbed some twigs from the backyard, some glass votives and a glue gun and got to work. Seriously...this probably does not even need a tutorial. 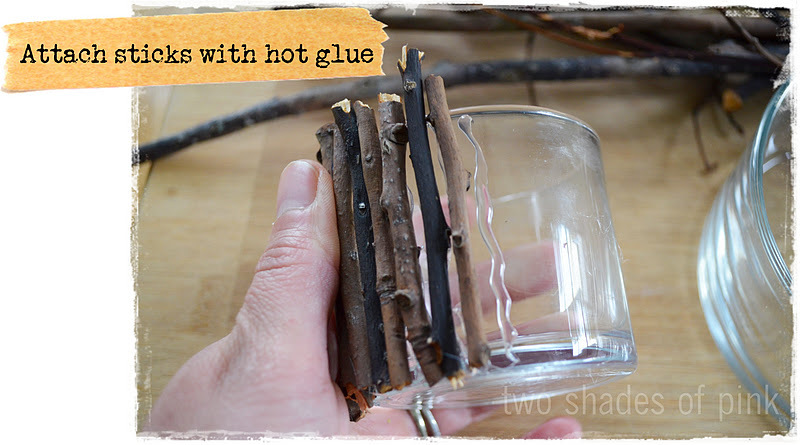 I mean, all you do is take some sticks and hot glue to glass. SIMPLE! Do this all the way around and put them as close together as you can. 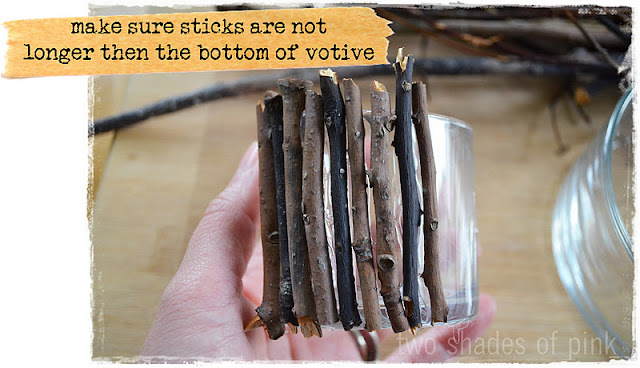 Fill in the gaps with thinner sticks to make it look fuller. I like the look of different lengths at the top. Gives it a more organic looky-loo to it. Pop a tea light in there, wrap with twine and leaves...done! A great idea is to recycle your glass candles or buy some glass votives and. vases from the dollar store for a little collection or tablescape. And I want to try this using mason jars and hang them! Happy Crafting my precious friends! P.S. Sorry I have been so absent from this blog and from your blogs! And I have even dropped the ball returning emails. PLEASE FORGIVE ME! I have been so busy with upcoming projects that I can't share with you JUST YET. Just know I appreciate every one of you and I will do my best to visit you soon. First off...I did NOT make these. But I DID win them. So I had to share. Funny that I don't really enter giveaways. But I had to enter this one over at the Lettered Cottage. I mean, look at them! And amazingly enough...out of 2000 entries...I won. They are from this amazing shop called LoveFeast Table. They have these for sale in their shop while offering several gorgeous color combinations. They were made by Plush Pumpkin and they are truly divine. Oh my word I had no idea how one could have this deep abiding affection for pumpkins. I believe they are the most beautiful pumpkins in the whole universe. Truly. 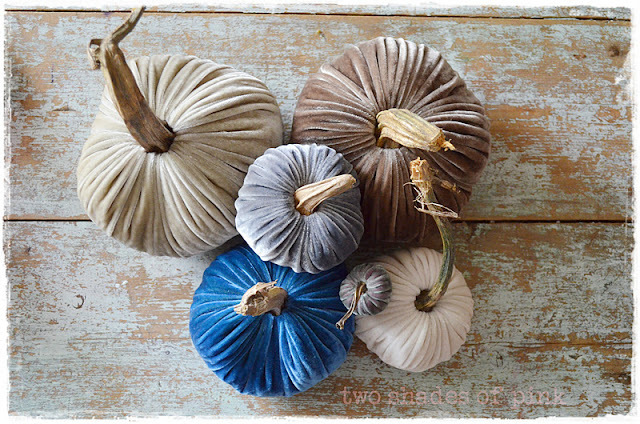 Velvet pumpkins with real pumpkin stems??!! Plushy and pretty in these delicious colors called Stone, Mushroom, Platinum, Sapphire, Snow and Dew??! They just about did me in as I opened my box with more giddiness then what would be considered cool. I often wonder if my husband looks back on our courtship and has admiration for the savvy way I hid my ever present nerdiness until after the wedding. Look at this teeny one my 3 year old is holding...is he not the cutest little thing? The little care card says that because they are made with natural materials it is probably best to keep them out year round or store them in an air tight container. 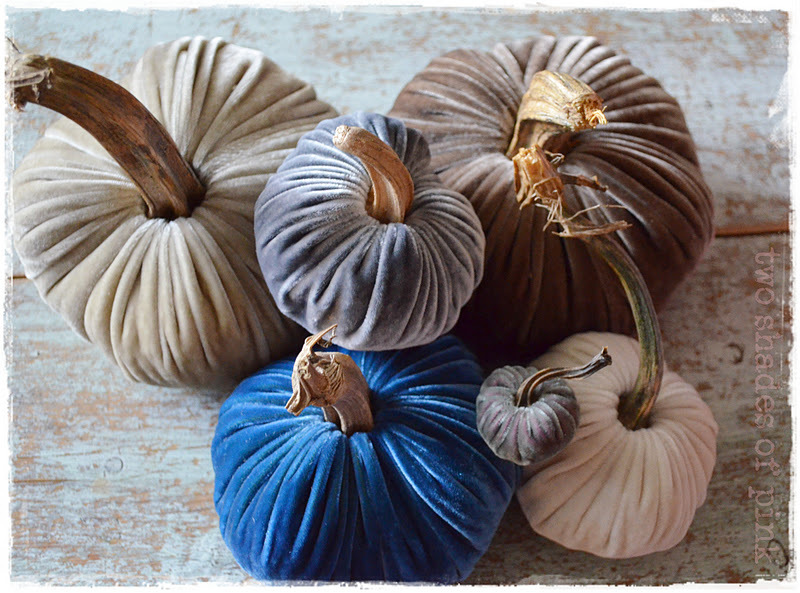 I have never considered having pumpkins out all year but these beauties I think may be a year round treat for the eyes at this house. If you love these and wish to pin them...I suggest pinning or bookmarking them from the LoveFeast Table website where I won the giveaway. Thanks a bunch! PS. 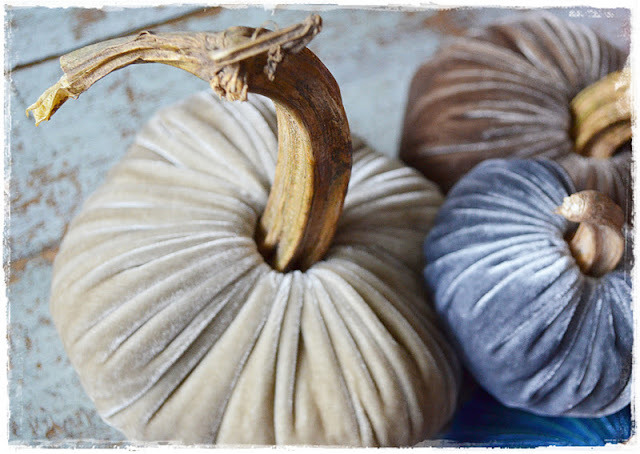 Andrea, owner of The Cottage Market just posted these gorgeous shabby pumpkins she made. 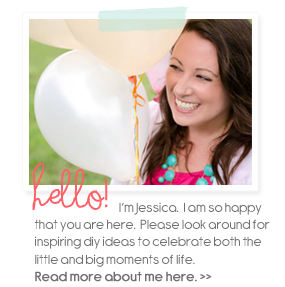 Please visit her blog and take a peek. I DO NOT LIVE IN A MODEL HOME. Those who know me well, know that I have a a manic tendency to be a perfectionist when it comes to my home. Yet it is not perfect nor do I rock magazine worthy style. 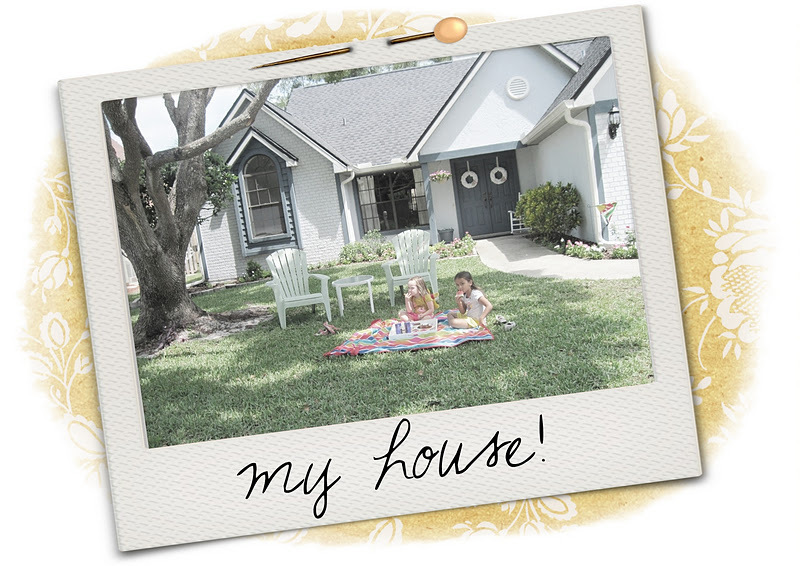 But as most of you know making a house a home is a work in progress that simply never ends. 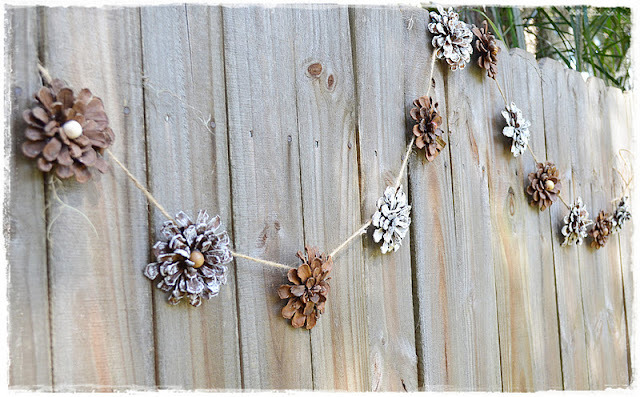 This is such a pretty DIY! 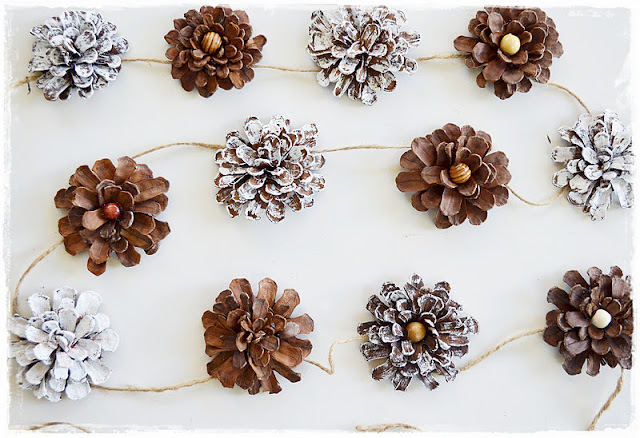 I love that this simple garland is an easy one! 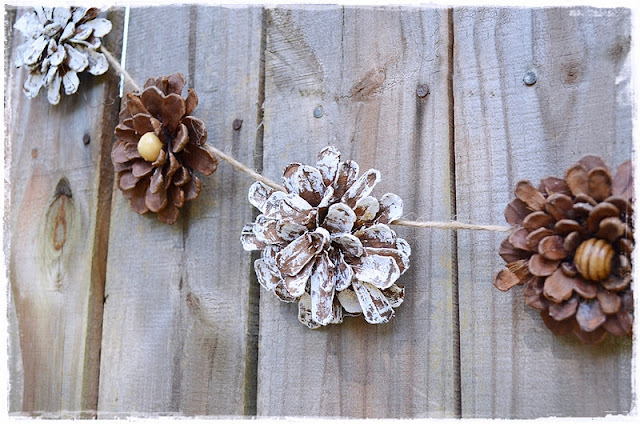 All you need are pine cones, some felt, garden shears, hot glue, wood beads, twine and paint (optional). Our neighborhood is full of long leaf pine trees so we have pine cones EVERYWHERE. 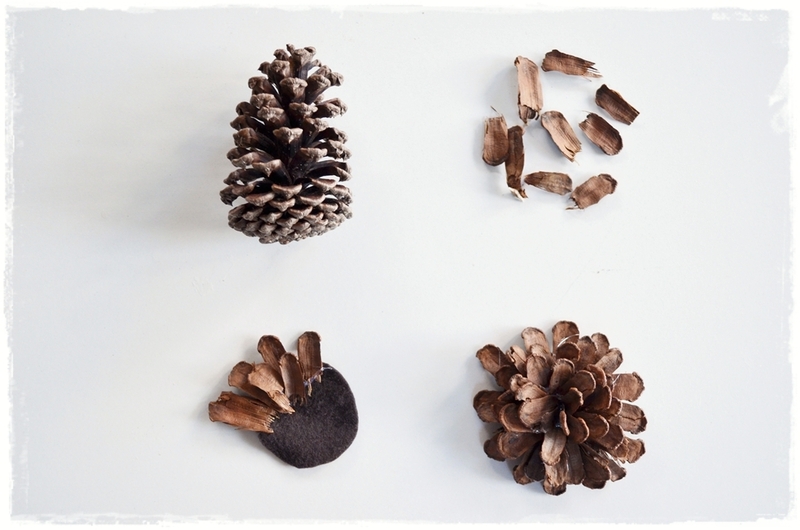 It has been fun hunting for pine cones with my girls and teaching them how to find pine trees. And I must say I crack up when my youngest daughter points to a palm tree and calls it a pine tree because they have "pointy" branches. It really is weird to have palm trees and pine trees next to each other in Florida. I digress. So. 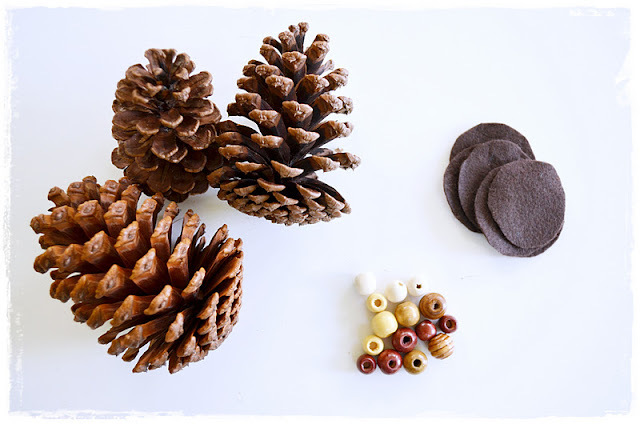 It would not be the Fall season without throwing some pine cone love in the crafty mix. Now gather a bunch of pine cones. The bigger the better. 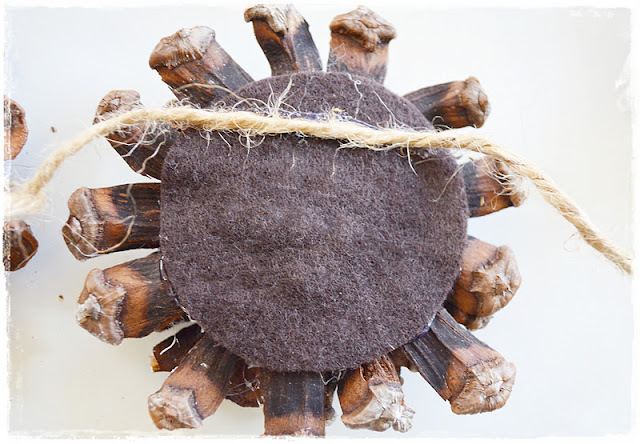 Grab some wood beads and cut out about a dozen 2 inch felt circles. 1. 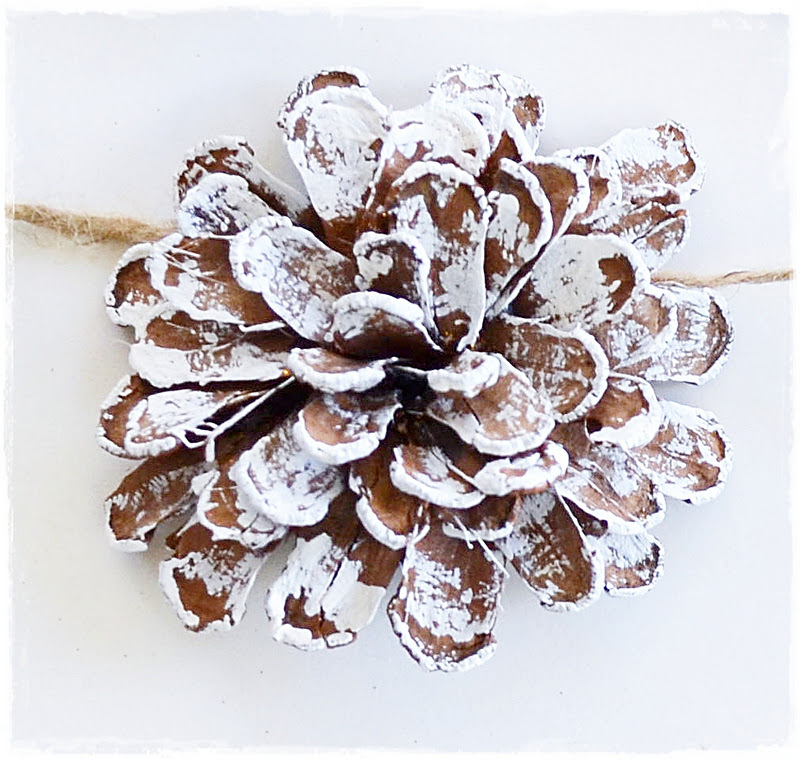 Using the garden shears, cut all the little sections off the pine cone. 2. 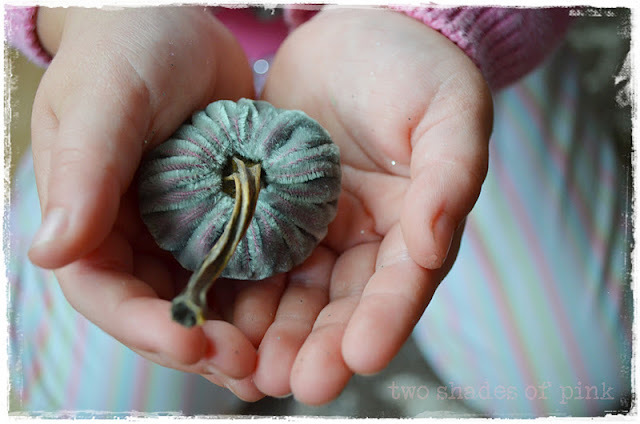 Hot glue them around the felt circle in a flower pattern (as if they were petals) until you get to the middle. 3. I tried using the biggest pieces on the outside edge (found towards the bottom of your pine cone) and the smaller pieces towards the middle. 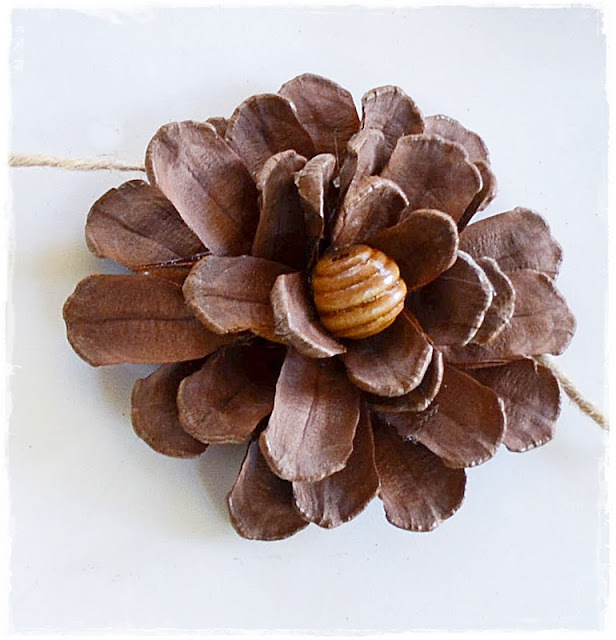 Instead of filling the middle with smaller pieces, use one of your wood beads as the center of your flower to make them look different. I decided to paint some of them white for a bit of rustic distressing added to it. It nicely satisfies my cottage style heart. And please don't tell me it looks Christmasy. I almost did not post this because I thought it looked Christmasy but then I figured no one else has to paint them or use white if they did not want to. To create the garland I just hot glued twine to the top of the felt circles (they are slightly heavy) on the back while spacing my flowers out evenly. I ended up using about 5-6 pine cones to make 12 flowers. 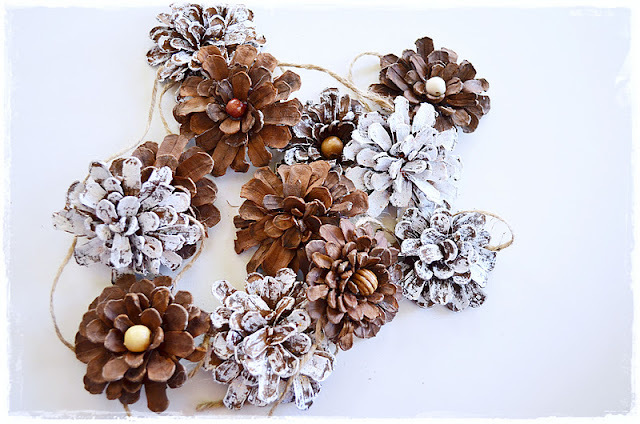 I hope you make some pretty pine cone flowers too! Hugs to all of you Fellow Fall Lovin' friends!